A lot of people like dessert. Some people have savory taste buds, and could care less if they had something sweet after dinner. But for those like me, the "sweet eaters" is what we will call them, need that after meal delight and that middle of the day pick me up. It's moments like that where a woman needs her chocolate. Unfortunately whether Aunt Flo has made her self at home, or I simply just feel the urge, there is some point during everyday that I need that something sweet. I'll reach for fruit. Doesn't cut it. Let me just say this. Cookie monster is to cookies like I am to ChOcOlAtE! So people say to me, "Why not just have a few bites of a buttery cookie? One ain't gonna hurt? 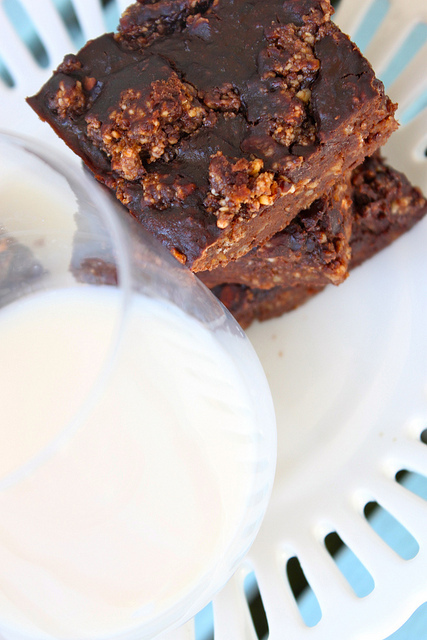 "Why eat a healthy brownie, when you can enjoy a real sinful one? Life's all about enjoyment!" "Girl, why you be crazy puttin' beans in brownies?! That's freak nastay!" Lastly, I don't do moderation. I just can't. Sure, I can handle a few bites of things here n' there...But you can bet your bottom dollar I am DYING inside to eat the whole plate! Therefore, I would rather have 3 hearty wholesome brownies, then a few bites of a decadent and rich one. I know I know..But I promise you, there ain't nothin' freak nastay bout these brownies. 1. 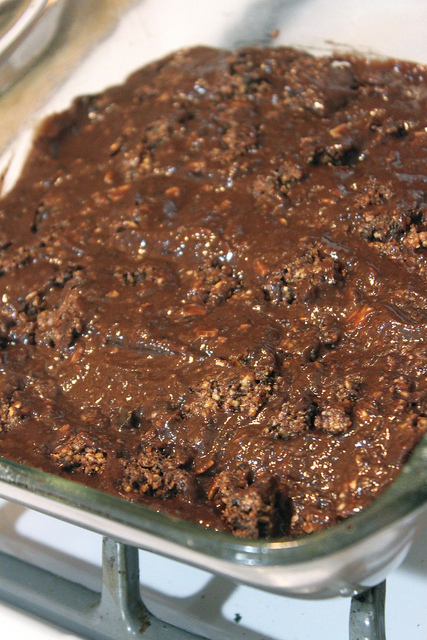 For the brownies, in a food processor, blend all the ingredients except oats. Blend until pureed and creamy. Pour batter in a bowl and mix in oats. Set aside. 3. Preheat oven to 350. Grease an 8x8 pan. Pour half of brownie batter into pan. Crumble cookie dough on top, reserving about 1/4 c. of the cookie dough for later. 4. Pour the rest of the batter on and with a spatula, smooth the top. Next, using the remaining cookie dough, crumbly on top and smooth it out with a spatula. 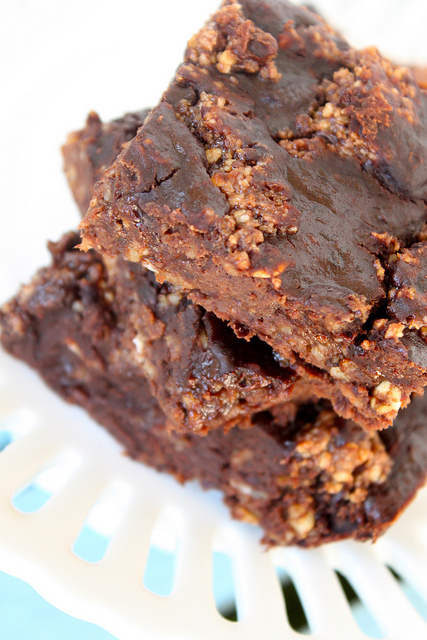 And to be honest, these are kind of like protein brownies with the black beans and cashews that are in them. Ok, ready for a challenge. I triple dog dare you to eat these without a glass of milk! !